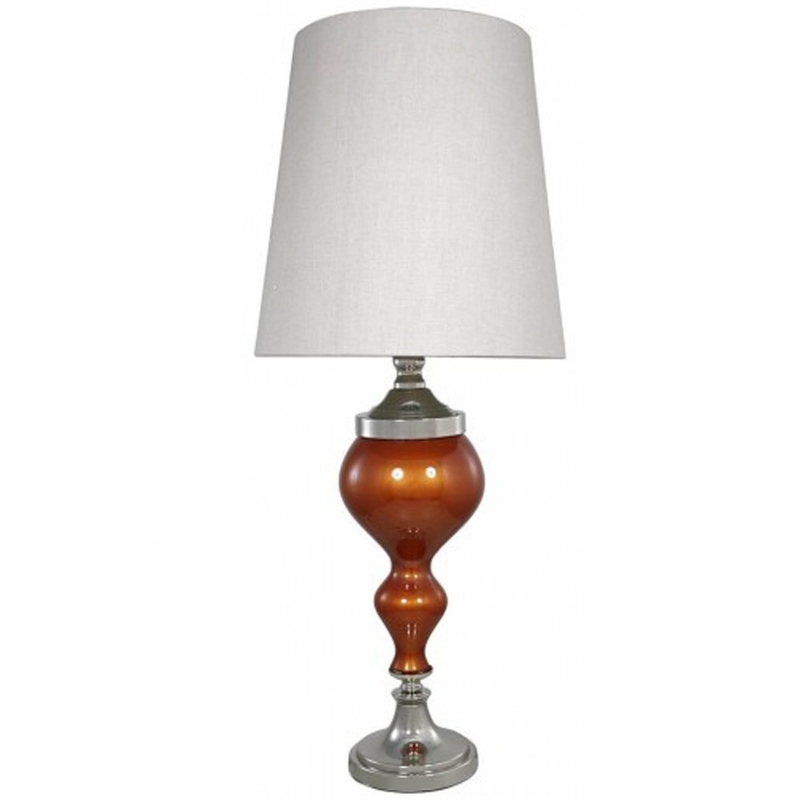 Featuring a gorgeous Terracotta Pearl Glass base, complemented by a 16-inch natural linen shade. Effortlessly spreading light throughout your home, this table lamp will help you achieve the look you desire due to its beautiful design. Perfect for any style of tabletop space, the Terracotta Pearl Glass Chrome Curve Table Lamp is a must-have for your home.